Sonia Gholami Early Stage Researcher of the Ageye Marie Curie ITN has recently obtained her PhD from the University of Valencia, Spain. 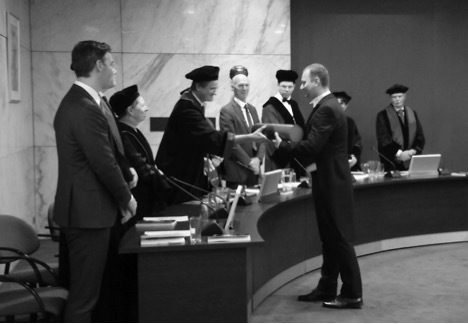 She defended her research project entitled “Intraocular scattering changes with age” under the supervision of Professors T JTP van den Berg, NJ Reus and JC van Meurs. Aging of the eye may cause changes that affect the quality of vision by means of a reduced visual acuity and an increased straylight. Straylight is the functional impairment caused by the scattering of light in the eye, which leads to a veil of straylight over the retina and, thus, to visual complaints such as hazy vision, blinding by headlights from upcoming cars, and loss of contrast. These complaints can be assessed subjectively with specialized questionnaires on visual function. In this project she has investigated what complaints are caused by each of these factors in the aging eye and how ophthalmologists take these factors into consideration in their decision-making to perform (or not) cataract surgery. 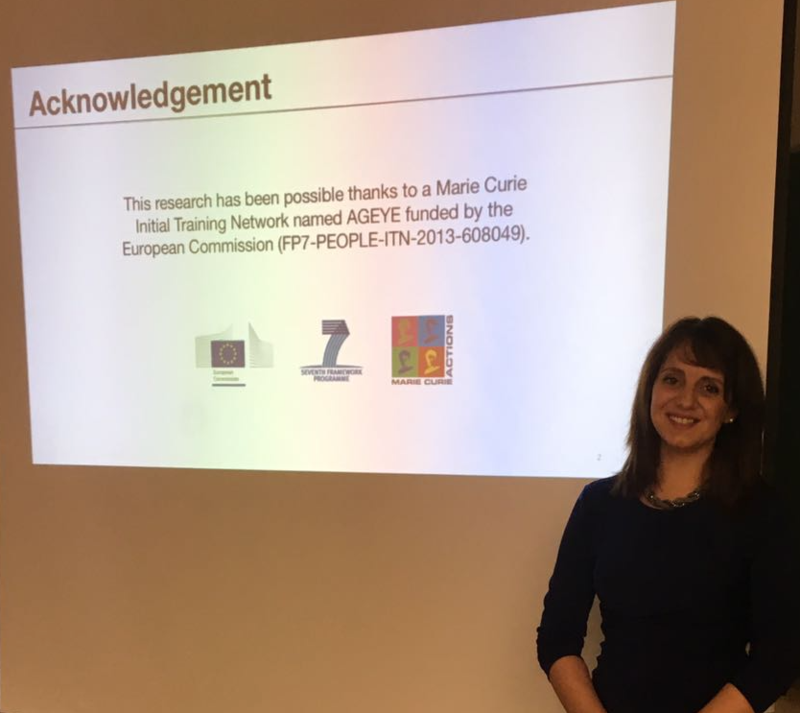 Alejandra Consejo, Early Stage Researcher of the Ageye Marie Curie ITN has recently obtained her PhD from the Wroclaw University of Science and Technology, Poland. 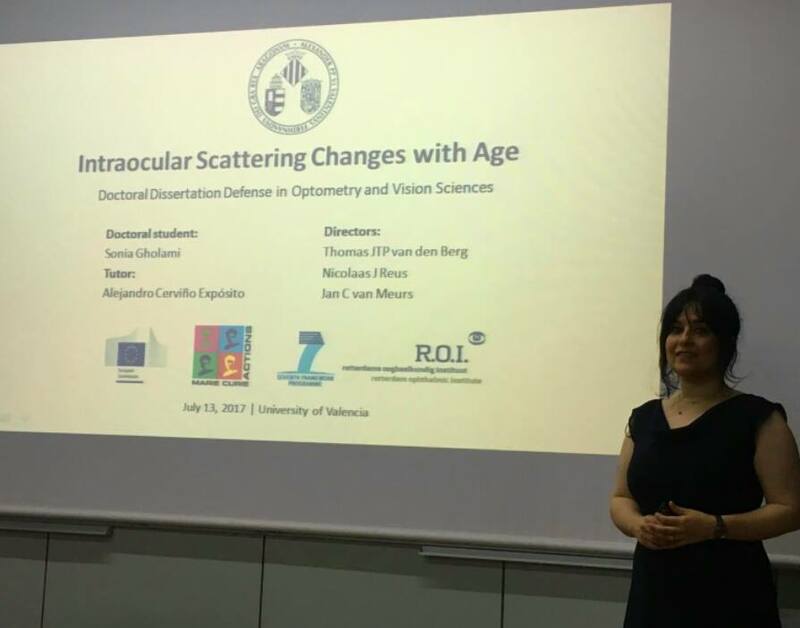 She defended her research project entitled “The anterior eye surface: age, accommodation and contact lens wear” under the supervision of Professor D. Robert Iskander (Wroclaw University of Science and Technology) and co-supervision of Dr. Hema Radhakrishnan (University of Manchester). This research aimed to accurately describe the shape of the anterior eye surface and study how it changes under certain conditions, such as ageing, accommodation and contact lens wear. This scientific work has been possible thanks to the Ageye Marie Curie Initial Training Network funded by the European Commission (FP7-PEOPLE-ITN-2013-608049). 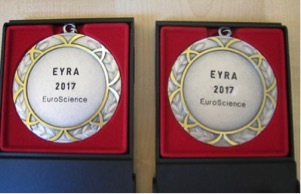 Her work during the last three years was carried out inside the Biocybernetics and Biomedical Engineering PhD Program of Wroclaw University of Science and Technology. 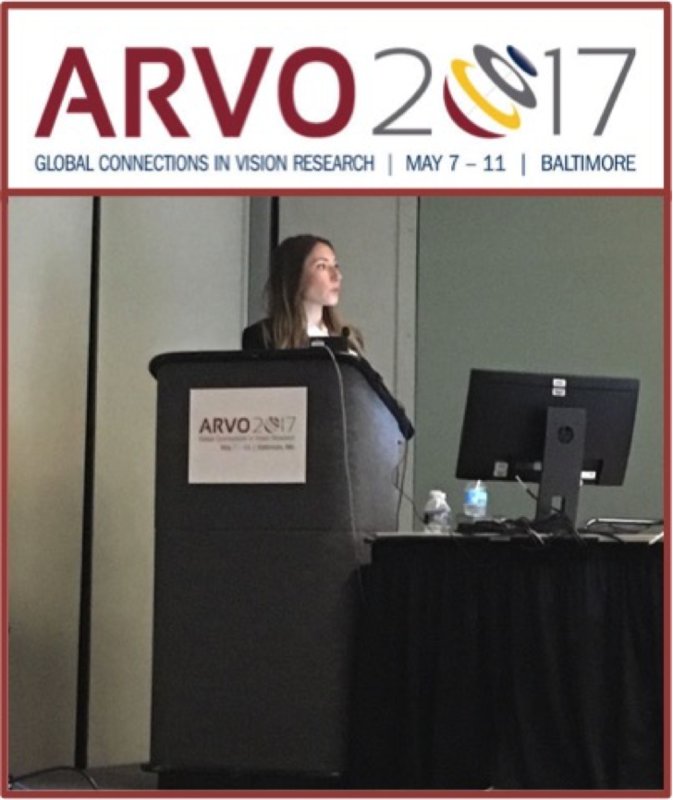 In May 2016 an oral presentation was delivered by Irene Sisó Fuertes (ESR 2) at the ARVO annual conference. This is the largest gathering of eye and vision researchers in the world, which attracts over 11,000 attendees from more than 75 countries. The results of an experimental cross-sectional study aiming to investigate the changes in the ciliary muscle dimensions with accommodation in different age groups were presented. This was a collaborative work between ESR 2 from the University of Manchester and Danilo Andrade de Jesus (ESR 3) from the Institute of Biomedical Engineering and Instrumentation, Politechnika Wroclawska (Poland). The findings from this study support the lenticular theory of presbyopia as ciliary muscle was found to be invariant with age but to change in thickness with accommodation. 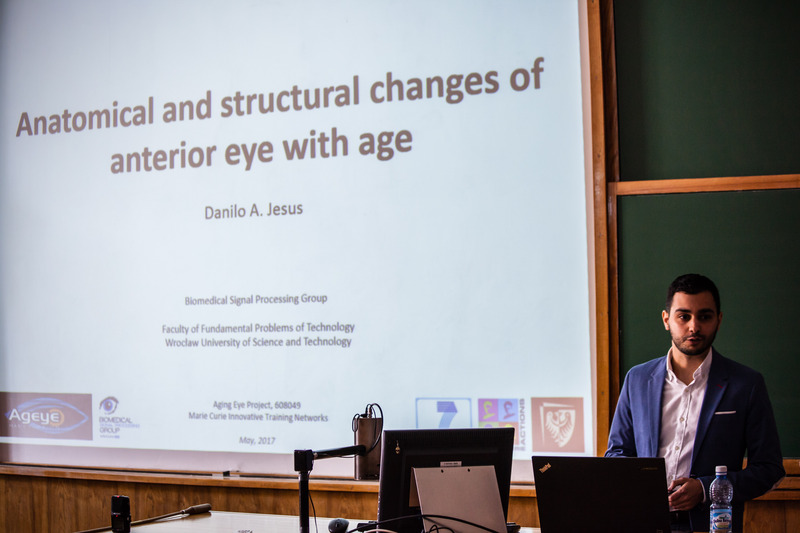 Danilo Andrade de Jesus, Early Stage Researcher of the Ageye Marie Curie ITN has recently obtained his PhD from the Wroclaw University of Science and Technology, Poland. 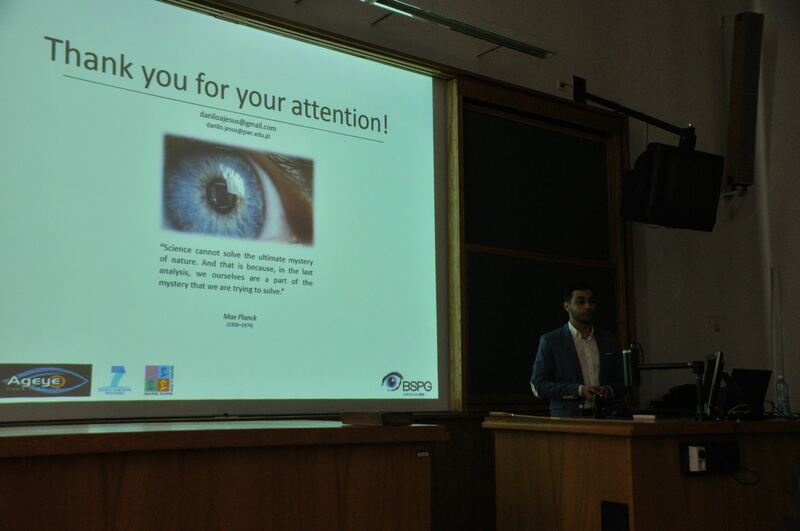 He defended his research project entitled “Anatomical and structural changes of anterior eye with age” under the supervision of Professor D. Robert Iskander. This research has been possible thanks to the Ageye Marie Curie Initial Training Network funded by the European Commission (FP7-PEOPLE-ITN-2013-608049). His work during the last three years was carried out inside the Biocybernetics and Biomedical Engineering PhD Program of Wroclaw University of Science and Technology. 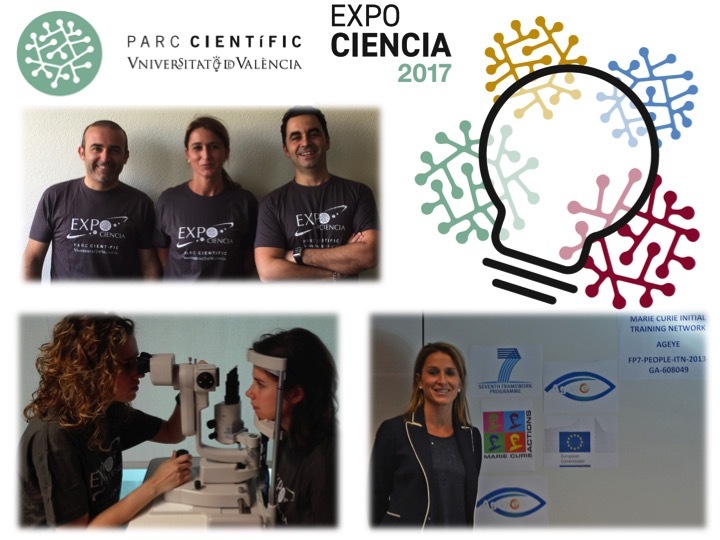 With the goals of bringing science closer to the general public and showing them what AGEYE research is about, the Ageye team participated at the ExpoScience 2017 scientific fair held at the Scientific Park of the University of Valencia. 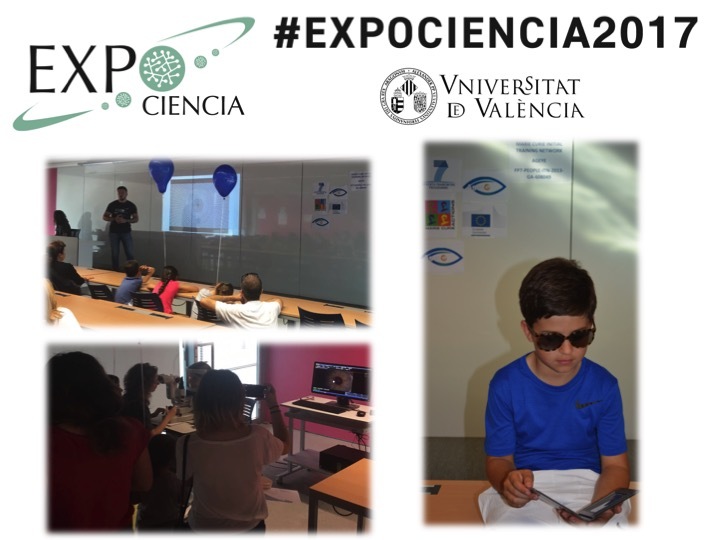 More than 5000 people, of all ages, attended this event where the different branches of Science are represented with over 80 ludic and divulgative activities organized around Science and innovation. Our group in particular showed the many curiosities about the elements forming the human eye that make the visual process possible, the effects of ageing, and different optical illusions that sparked everyone, both young and old, encouraging research careers among young Europeans and promoting Marie Curie actions. Intraocular pressure (IOP) is routinely assessed by noncontact applanation tonometry and its normal level ranges from about 10 to 21 mmHg. The accuracy of applanation tonometry is influenced by corneal stiffness that varies with a number of parameters, such as thickness, curvature and age. Cornea is found to increase its stiffness as the characteristics of viscoelastic behaviour decrease with age. Such changes in corneal micro-structure contribute to a variation of corneal biomechanical variables which may be independent of central corneal thickness (CCT) or IOP. However, the assessment of the micro-structure effect in corneal tissue stiffness was limited to few studies due to the lack of means to measure it in vivo. Recent studies have suggested that the measured IOP should be corrected by the CCT and an age-dependent correction factor, pointing that an increase of corneal thickness in a young person has a lower influence on the measured IOP than the same increase of thickness in an older subject. Despite the assumption made by these studies, ageing is not necessarily a linear process and may differently affect each subject. Parameters such as medical history (i.e., diabetes or topical drugs), ocular anatomy, sun exposure, alimentation or ethnicity may all play a role in that process. Moreover, the actual correction does not apply to other factors such corneal swelling, wound healing, and diseases such as keratoconus that all have possible effect on corneal micro-structure and hence, subsequently, on the IOP measurements. Therefore, new techniques are needed to measure in vivo the contribution of the corneal micro-structure on the IOP measurement. 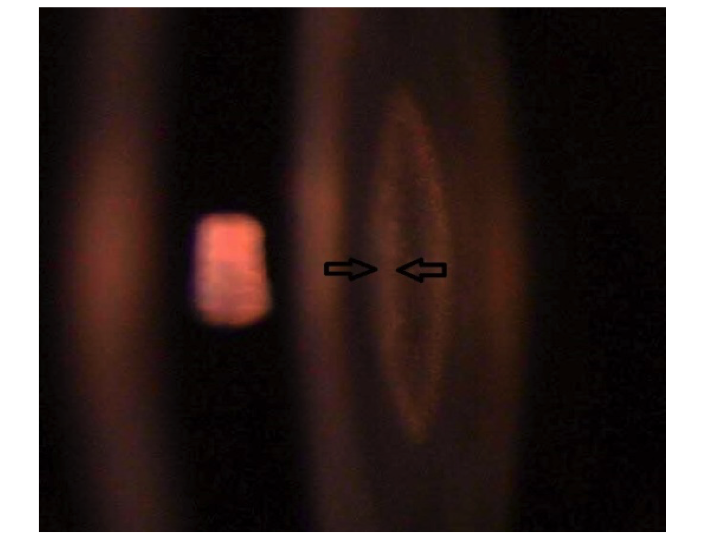 In a manuscript published this month in PloS One, we show, for the first time, that corneal micro-structure plays an important role in IOP measurements obtained from noncontact tonometry. The proposed technique of statistically modelling OCT speckle introduces a new approach to provide complementary information to better understand the influence of alterations of the collagen framework on ocular tonometry. 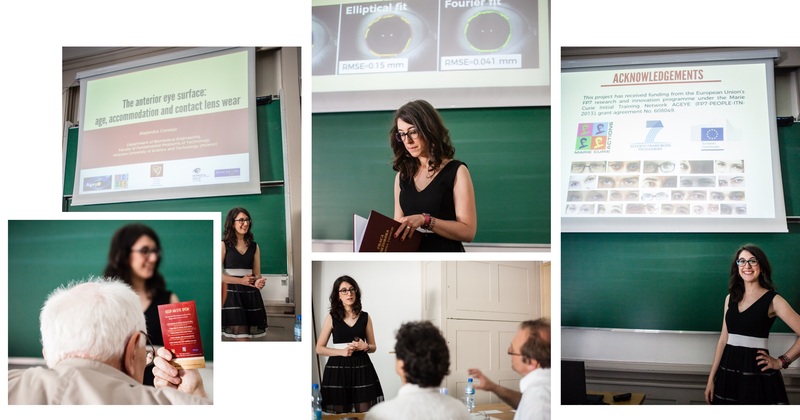 Alejandra Consejo, research fellow at Wroclaw University of Science and Technology, submitted in January this year her doctoral thesis entitled ‘The anterior eye surface: age, accommodation and contact lens wear’. 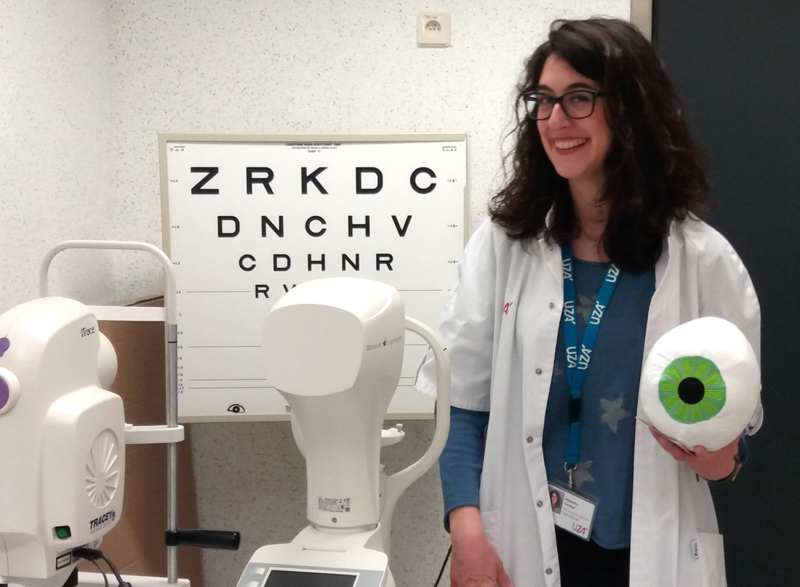 From February she has been working in the Department of Ophthalmology in Antwerp University Hospital, UZA (Antwerp, Belgium), in the Physiological Optics research group with Professor Jos Rozema, Professor Marie-José Tassignon and Professor Carina Koppen. She is primarily involved in a research project that aims to develop an accurate tool for the early detection of keratoconus using Machine Learning techniques. In addition, Alejandra is still collaborating with her ITN Marie Curie host institution. She is the principal investigator of the project ‘Investigating changes in corneo-scleral topography as a consequence of contact lens wear’. This project, financed by the polish National Center of Science, is the continuation of one of her mayor PhD outcomes, this is how contact lens wear affects the ocular surface. It is a multidisciplinary international project in collaboration with Professor D. Robert Iskander from Wroclaw University of Science and Technology (Poland) and Professor James Wolffsohn from Aston University (United Kingdom). 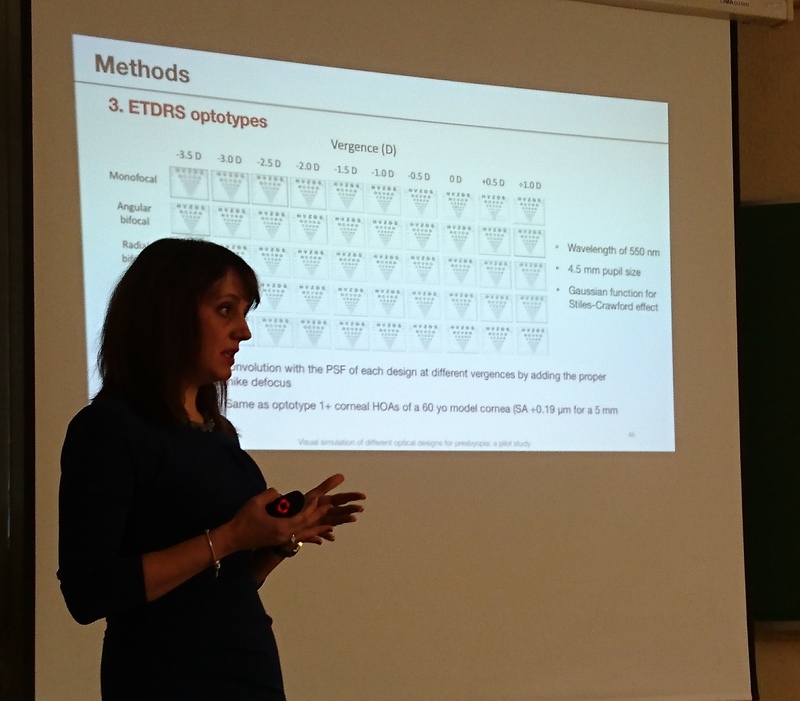 Irene Sisó-Fuertes, research fellow at the University of Manchester, has been investigating about the age-related changes in the optics of the human eye with accommodation. During the three years in which she has been active part of the AGEYE project, she has received invaluable training that has improved her research skills as well as increased her network. All the skills acquired along with the experience gained have boosted her curriculum helping her to find a new position at the Manchester Royal Eye Hospital. 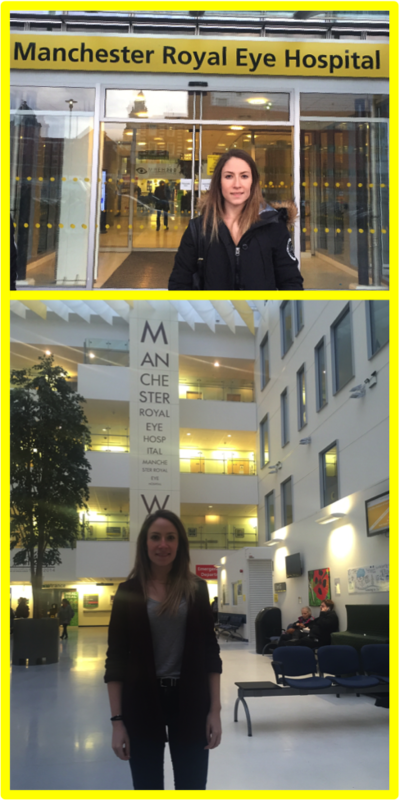 Irene will be part of the Manchester Vision Regeneration (MVR) Lab team, which is a research team that focuses on developing research and treatment strategies in Medical Retinal and Vitreoretinal conditions using the most advanced diagnostic and treatment devices. 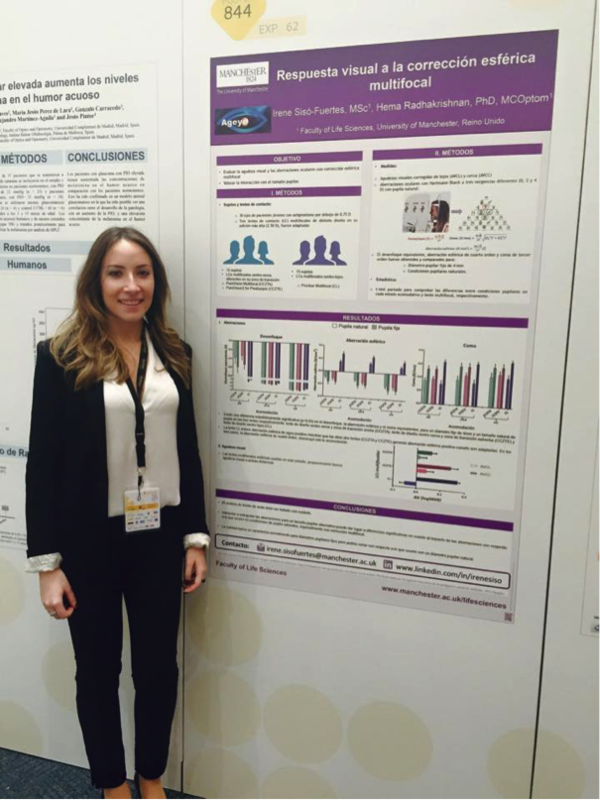 Cari Pérez Vives, Experienced researcher of the Ageye Marie Curie ITN, during the last two years has performed her project in Alcon laboratories belonging to the Medical Affairs team. Cari Perez has supported the team on Surgical and Vision Care projects including scientific input into manuscripts, research proposals, promotional material and presentations. She has been collaborating very closely to other departments, such as Marketing, Market Access and the Clinical team and has been involved in some new product launches. 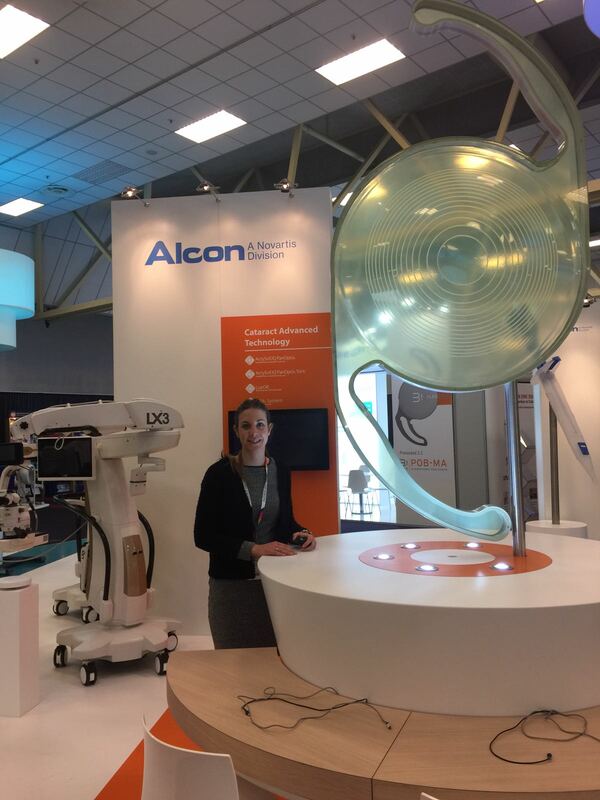 After her Post-Doctoral Fellowship, Cari Perez has been hired by Alcon EMEA as Medical Affairs Cataract Advisor being a permanent member of the team. She will be on charge of providing scientific and medical expertise for the brand plan, reviewing and advising study protocols, coordinating and monitoring scientific and medical information quality, providing guidance and content for medical training on assigned products and projects, congresses preparation and competitive intelligence. The Ageye project offered her the opportunity to discover the industry, increase her network, grow professionally in another field out of the purely research and finally she got a permanent position in Alcon, a multinational company, which is the leader in eye care. Disability glare has often been associated with multifocal contact lenses. However, how different optical designs affect ocular straylight has never been studied. A new paper in Optometry & Vision Science authored by members of the Ageye Marie Curie ITN gives new insight into this issue. 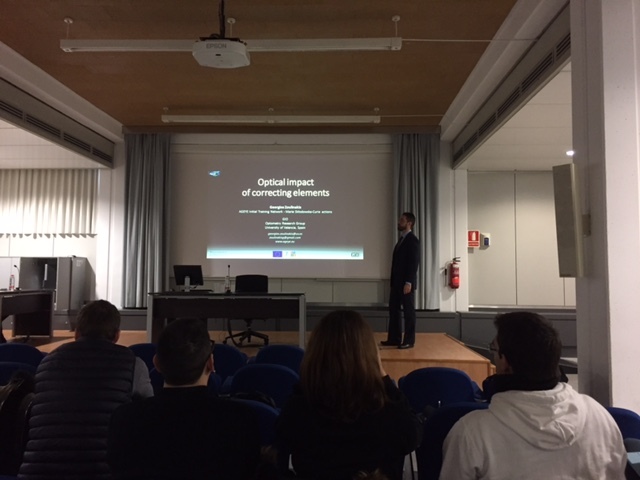 Georgios Zoulinakis, Early Stage Researcher of the Ageye Marie Curie ITN has recently obtained his PhD from the University of Valencia, Spain. 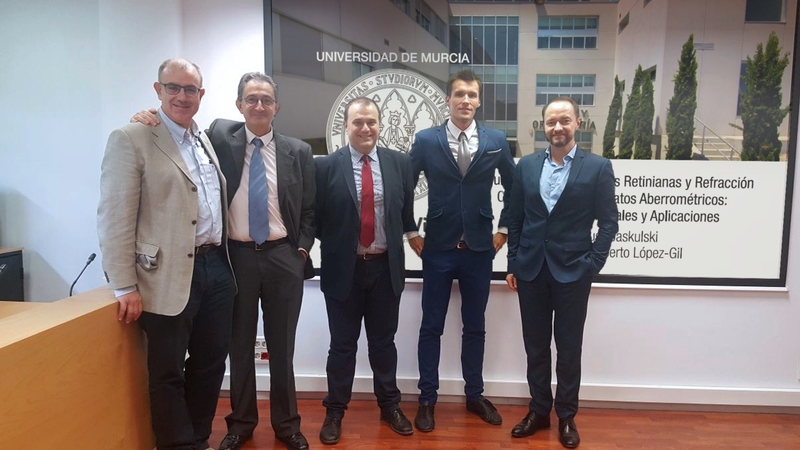 He defended his research project entitled “Optical impact of correcting elements ” under the supervision of Dr. Teresa Ferrer-Blasco. This research has been possible thanks to the Ageye Marie Curie Initial Training Network funded by the European Comission (FP7-PEOPLE-ITN-2013-608049). 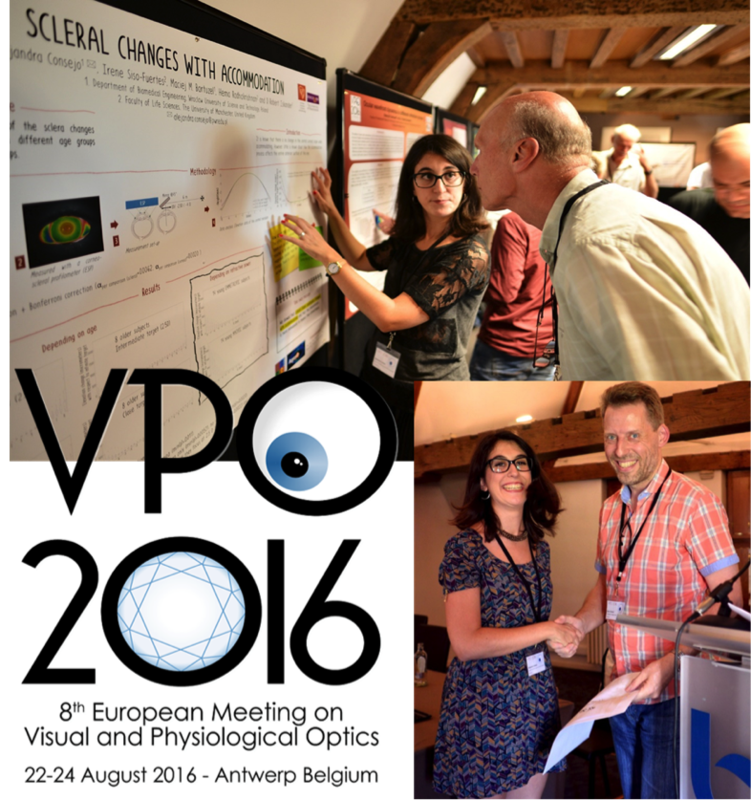 His work during the last three years was carried out inside the Optometry and Vision Sciences PhD Program of the University of Valencia. As part of Alcon and as a Marie Curie fellowship, we have started a collaboration with some member of the “Fundacion oftalmologica del Mediterraneo (FOM)” located in Valencia (Spain). FOM is an eye hospital with multidisciplinary professionals working in vision since 2005. FOM has been a monographic centre of care, teaching and performing research in ophthalmology. Eight years later FOM became part of FISABIO changing its name to FISABIO-Oftalmologia Medica, a structure for research using synergies for growing. FOM also belongs to the research network of the Valencia regional government and has a collaboration agreement with Physics Department at University of Valencia for research and education. 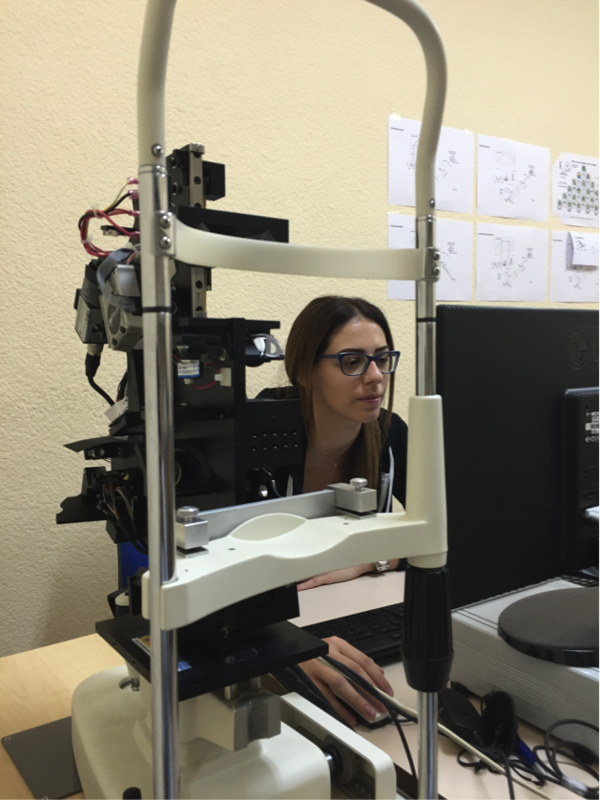 Prof. Artigas’s research group counts with several devices and innovative techniques to evaluate intraocular lenses and contact lenses. They have a scientific background assessing image quality, spectral transmission, scattering, color vision with intraocular and contact lenses. Dr. Garcia-Domene is the training program coordinator of an Educational Grant at FOM and University of Valencia, supported by Alcon. Thanks to this partnership both institutions are running together their postgraduate training program in ophthalmology. Dr. Garcia-Domene and Dr. Perez-Vives, recipients of both grants, have been working closely in vitro studies basically with analysing intraocular lenses. The first project was related to the ultraviolet filter measured in different intraocular lenses and shown to vary across the various IOL brands. The publication now is under review in a high impact journal. As the first collaboration was very productive, further projects will come in 2017. It is important to note that the research performed at FOM and University of Valencia by Dr. Garcia-Domene is totally independent and not influenced by Alcon. 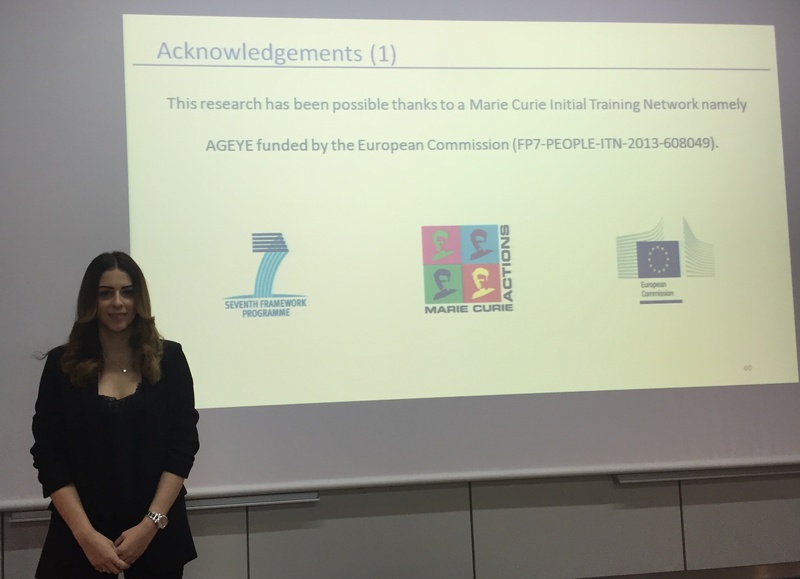 Aikaterini Moulakaki, Early Stage Researcher of the Ageye Marie Curie ITN has recently obtained her PhD from the University of Valencia, Spain. 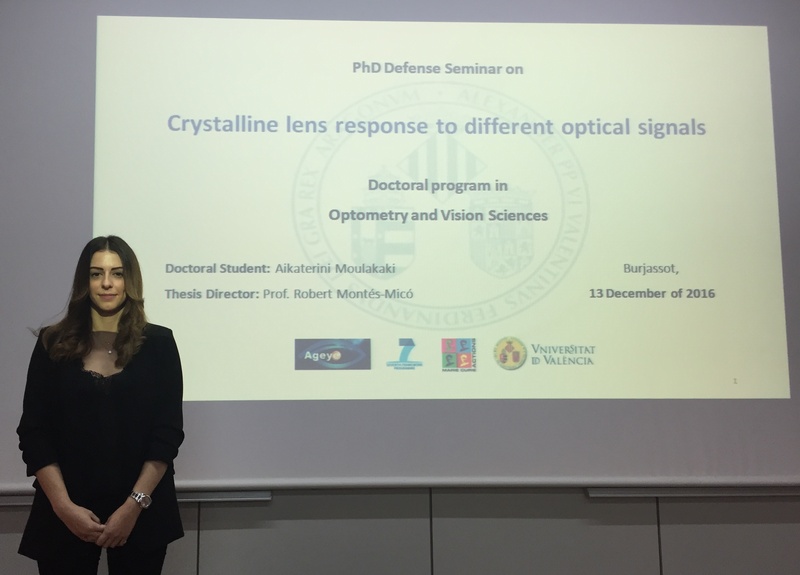 She defended her research project entitled “Crystalline lens response to different optical signals ” under the supervision of Prof. Robert Montés-Micó. This research has been possible thanks to the Ageye Marie Curie Initial Training Network funded by the European Comission (FP7-PEOPLE-ITN-2013-608049). 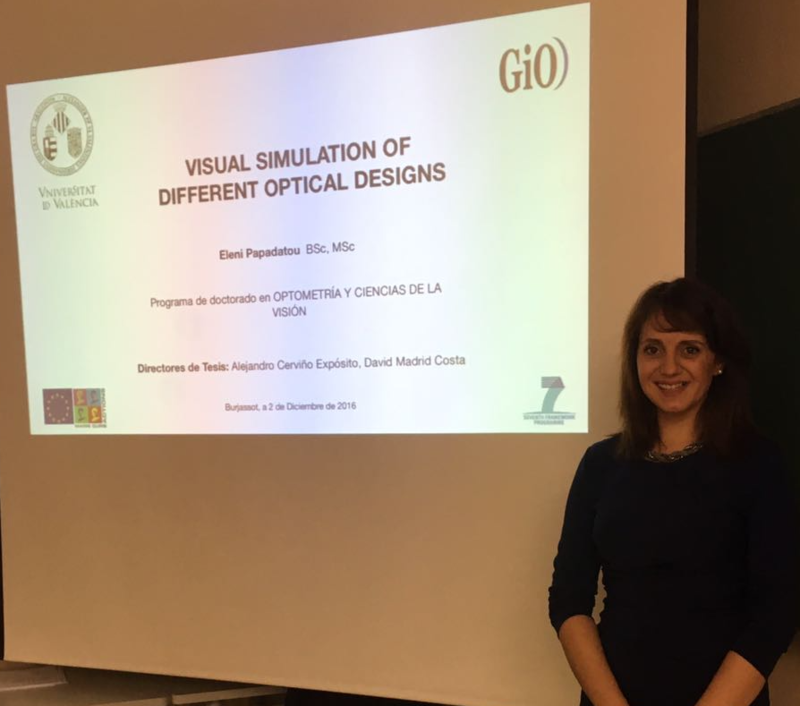 Her work during the last three years was carried out inside the Optometry and Vision Sciences PhD Program of the University of Valencia. In an Adaptive Optics (AO) system for imagine the eye the quality of the wavefront measurement is a key factor. During my Post-doc at Imagine Eyes we developed in cooperation with our colleagues from Imagine Optics a new approach to address this question. AO corrects wavefront errors to improve imaging quality in optical systems. An AO-system consist often of a SH-WFS (Shack–Hartmann wavefront sensor) and a DM (deformable mirror). The SH-WFS measures the local slopes of the wave front and calculates from this slopes iteratively the best fitting wavefront. The shape of the DM is then controlled by this information. Any error in the slope measurement (noise) will result in a residual wavefront error and hence in a reduced image quality. The method is based on the fact that the wavefront has to be integrable and allows to quantify the error in the wavefront measurement. The integrable wavefront derived from the measured slopes is used to re-calculate the slopes. The difference between the re-calculated slopes and the measured slopes is identified as the none-integrable noise of the slopes measurement. 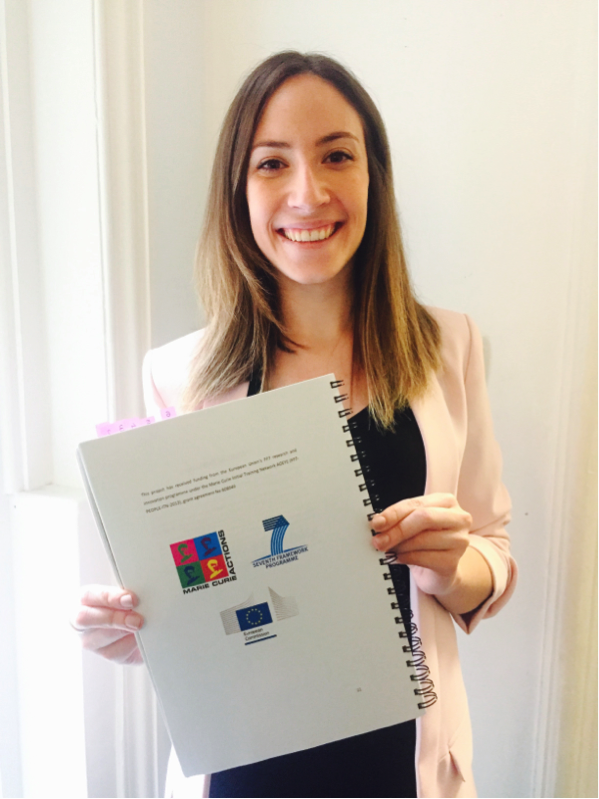 Eleni Papadatou, Early Stage Researcher of the Ageye Marie Curie ITN, has recently obtained her PhD from the University of Valencia, Spain. She defended her research project entitled “Visual Simulations of Different Optical Designs” under the supervision of Drs. Alejandro Cerviño-Expósito and David Madrid-Costa. 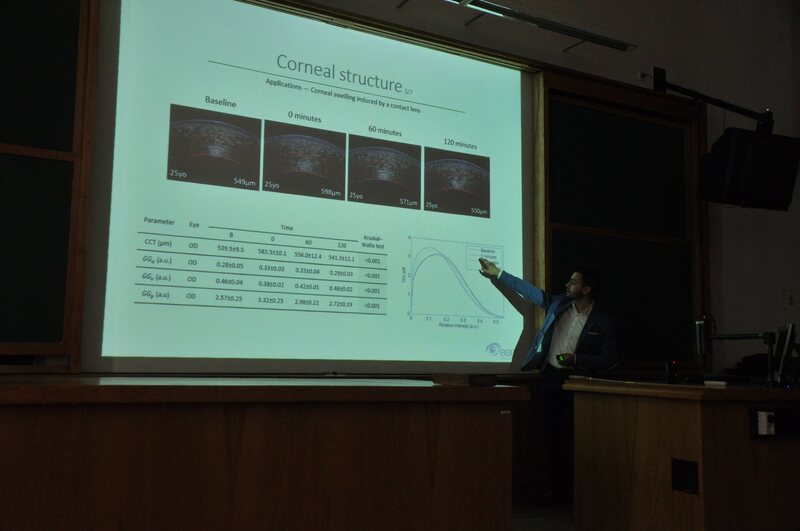 AGEYE Marie Curie fellows participated in the MSc Program in Optometry and Vision Sciences of the University of Valencia lecturing about their research projects. Fellows participation took place within the Clinical Diagnostic Technologies subject of the MSc course, where they explained to the MSc students the aims, methods, and main research results. The outcomes from the AGEYE project are directly related to the syllabus of the subject and, therefore, the MSc students will benefit from applying these to their clinical and research activities. In a recent study performed that we have performed at the laboratory of the University of Valencia we have assessed the central lens thickness, the anterior lens curvature and the ciliary muscle area in young adults and adults for unaccommodate state and with a vergence stimulus of -3D. Our results revealed that with aging, the eye undergoes anatomical changes that have an impact on the quality of vision and thus, of life. Studying these variations provide clinicians with interesting information about the aging process of the eye that can be useful in order to provide new methods aimed at delaying the appearance of presbyopia. 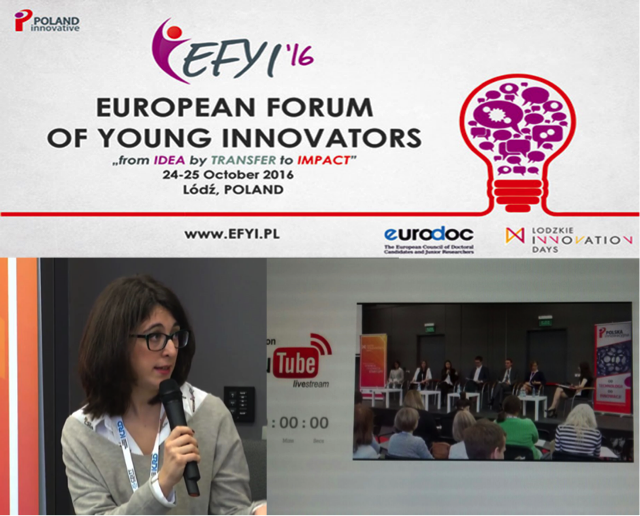 The European Forum of Young Innovators, EFYI'16, is an event that ‘brings together representatives of the world of science and business, to begin the discussion on the key issues affecting young innovators. The program abounds in exciting discussions, success stories, experienced international speakers and business practitioners. EFYI'16 encourages the active involvement of all participants by creating a propitious space for exchanging views and opinions’. I was invited as a member of the Polish Chapter of the Marie Curie Alumni Association (MCAA), https://www.mariecuriealumni.eu/, to actively participate in the panel ‘The role of young innovators in the next decade. What kind of young scientist Europe needs?’. I had the opportunity to share my experience as Marie Curie fellow and PhD student. Besides, this was a great opportunity to network, gain some extra knowledge about how industry works and participate in interactive workshops. The event was broadcasted in streaming and it is now available in YouTube (https://youtu.be/SGwqHQlyBp0 ). Optical quality is usually characterized for fixed pupil diameters. Results obtained in a study that assesses the visual acuity and ocular aberrations with multifocal spherical correction and the interaction with pupil size; show that wavefront analysis should be treated carefully. Intrapolating or extrapolating the aberrations for an alternative pupil size could lead to significant differences in understanding the impact of aberrations from what is seen from natural pupil size particulary with multifocal correction. This study was presented in a poster at OPTOM16, the 24th international congress of optometry, contact lenses and ophthalmic optics held in Madrid. In a recent study performed at the laboratory of the University of Valencia we have investigated the potential effect that odd and even-order monochromatic aberrations may have on the accommodation response of the human eye. Eight healthy subjects participated in the study and using an adaptive optics system we measured the accommodation response of the subjects under different conditions: with the natural aberrations being present, and with the odd and even-order aberrations being corrected. Three measurements of accommodation response were monocularly acquired at accommodation demands ranging from 0 to 4 D (0.5 D step). Our results revealed that no statistically significant differences were found between the accommodation responses under the three conditions. Then, the odd and even-order aberrations were not helping the visual system to accommodate, because their partial correction did not affect the accommodation performance. 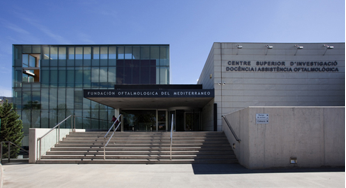 Conference organized by the University of Valencia related to the World Sight Day of the World Health Organization and the International Agency for the Prevention of Blindness. Open-door conference to all public that try to raise awareness about the importance of the Vision and their problems in the world. Marie Curie fellows of Ageye have explained their current projects, related to the Aging Eye, and their recent outcomes they have found. PI, Robert Montés-Micó introduced the Ageye ITN funded by the EU and other speakers have talked about their research and application to vision and cooperation in developing countries and visual health. 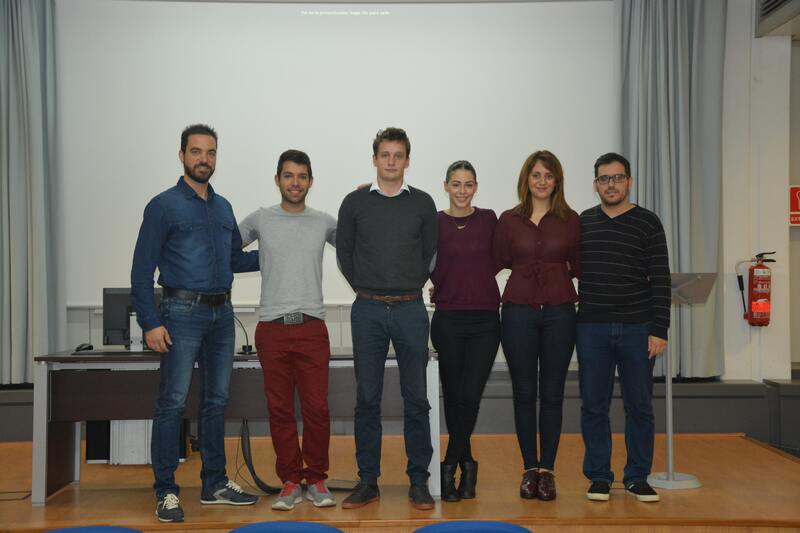 Students and staff of the University of Valencia, and general public attended to the conference. Some of the speakers at the Conference, from left to right: Georgios Zoulinakis (AGEYE Marie Curie ESR), Daniel Monsálvez-Romín (FPU Predoc Researcher Ministerio de Educación), Edouard Lafosse (EDEN Marie Curie ESR), Aikaterini Moulakaki (AGEYE Marie Curie ESR), Eleni Papadatou AGEYE Marie Curie ESR), Antonio del Águila-Carrasco (ERC Predoc Researcher). The European Society of Cataract and Refractive Surgeons (ESCRS) is leading training and networking platform in Ophthalmology and Vision Science. 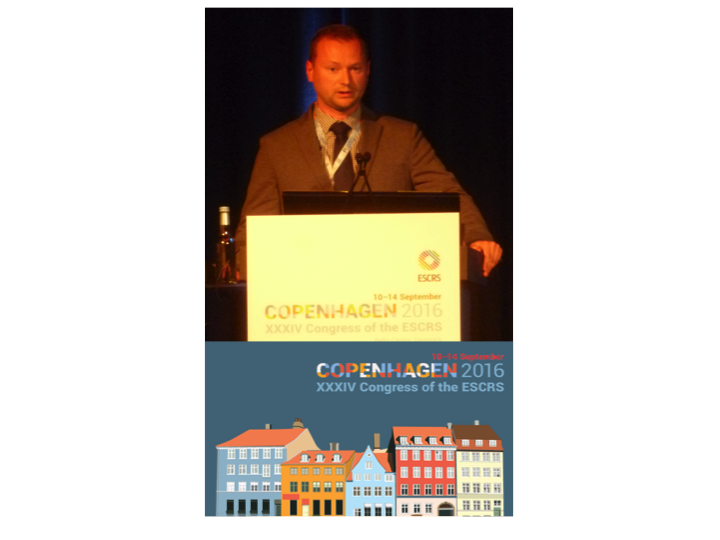 The congress of the ESCRS takes place annually and attracts nearly 8000 delegates from almost 100 countries worldwide. This year, the meeting was organized in Copenhagen. Congenital cataract  is prevalent with 1 to 6 cases per 10,000 births which can occur in different morphological configurations. Young adults with this type of cataract usually have a very good visual acuity and since they are exposed to this issue since birth, their vision might be compromised. However the resultant visual malfunction are sometimes inevitable and becomes especially crucial for young adults with careers which require optimal visual performance. Congenital cataract in adults may cause issues such as lack of depth perception or poor retinal development due to stimulus deprivation amblyopia . In a new study we want to investigate the angular-dependency of the forward light scattering in congenital cataract eyes (known as straylight) . Straylight is the skirt of the point spread function (PSF) and covers the outer part (θ > 1°) of it. It was reported that straylight intensity decreases greatly with θ. The same study showed that straylight parameter changes from 2.5° to 25.4° with a parabolic behavior with a minimum value around 7° in normal eyes without cataract. Recently, in one pulverulent congenital cataract subject, we observed an atypical behavior of straylight compared to what is common in age-related cataract at large angle (28°) . Straylight decreased, whereas the small-angle behavior was normal. However it appeared that the on-set cataract had no impact on the subject’s visual acuity. We expect high level of independency between straylight and visual acuity in congenital cataract eyes. Further, we are interested to know whether the unordinary features are results of a peculiar morphology. 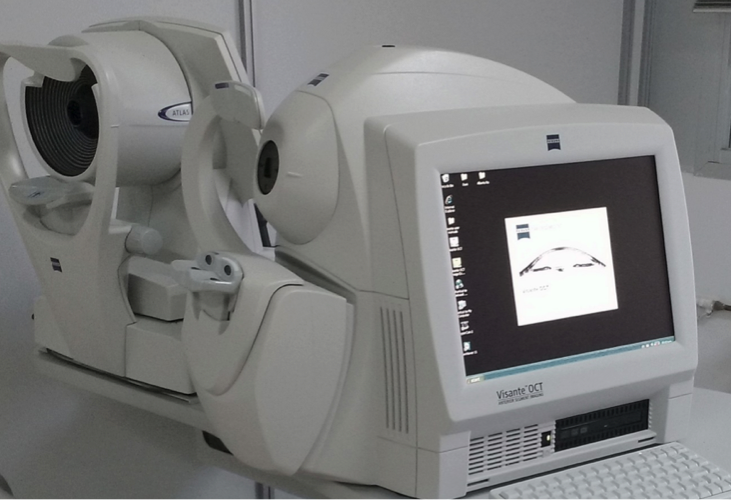 We will evaluate the relevant optical and visual measures including intraocular straylight as well as visual acuity, contrast sensitivity and wavefront aberration (visual Strehl ratio). We also survey the morphology of the cataract using retro-illumination images. Reddy M., Francis P., Berry V., Bhattacharya S., and Moore A (2004). Molecular Genetic Basis of Inherited Cataract and Associated Phenotype. Survey of Ophthalmology, 49(3):300-15. Antonio-Santos A., Vedula S., Hatt S., and Powell C (2014). Occlusion for stimulus deprivation amblyopia. Cochrane Database of Systematic Reviews 2014, Issue 2. Art. No. : CD005136. DOI: 10.1002/14651858.CD005136.pub3. Van den Berg T., Franssen L., and Coppens JE (2009). Straylight in the human eye: testing objectivity and optical character of the psychophysical measurement. Ophthalmic Physiological Optics, 29(3):345-50. Vos J., and van den Berg T. (1999). Report on disability glare. CIE Collection, 135:1-9. Uspeert J., de Waard P., van den Berg T., and de Jong P. (1990). The intraocular straylight function in 129 healthy volunteers; dependence on angle, age and pigmentation. Vision Research, 30(5):699-707. Author: Juan F. Zapata-Díaz. The University of Manchester. There is an increasing interest in the role of higher-order aberrations (HOA) might play on depth-of-field (DoFi) of the eye. This knowledge could be of particular interest to enhance the devices (intraocular lenses, contact lenses…) used to mitigate the effects of presbyopia. 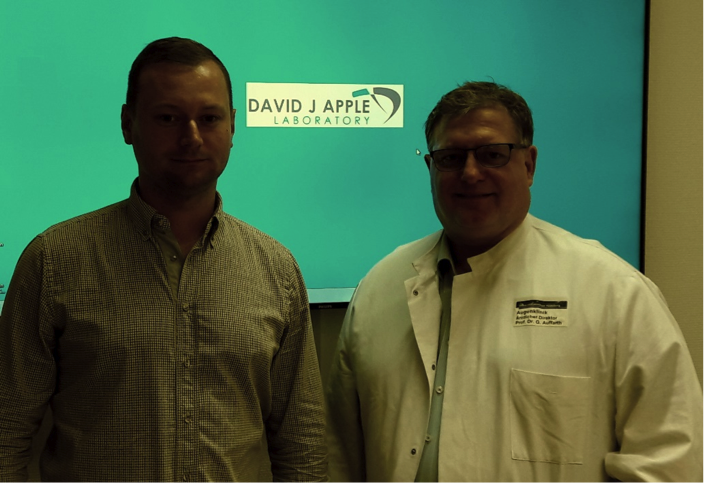 Two of the partners of the Ageye consortium, The University of Manchester and The University of Murcia, have performed an original study in which an adaptive optics system was used to measure, correct and simulate the optical error (wavefront aberrations) of several participants. This allowed measuring depth-of-field of participants under 3 conditions: 1) with their own HOA; 2) after correction of their HOA; and, 3) under simulation of other participants’ HOA. This approach allowed participants to experience how other people see, as they would do with their own eyes. The results showed that the impact of optical factors on DoFi is approximately 20%, in average, of the DoFi total extent. Furthermore, the same HOA pattern had different effect on DoFi of different participants, showing an important role of factors outside the pure optical system of eye, as the neural processing of the retinal image.These results suggest that approaches that induce HOA to extend DoFi and mitigate the effects of presbyopia would benefit if they were done on a case-by-case basis. Furthermore, this study might offer a new method to measure the suitability of each patient to this kind of corrections to avoid post-treatment disappointment. Top left: Adaptive Optics system used in the study (CiViUM lab, The University of Murcia). Top right: results of the impact of higher-order aberrations on depth-of-field extent. 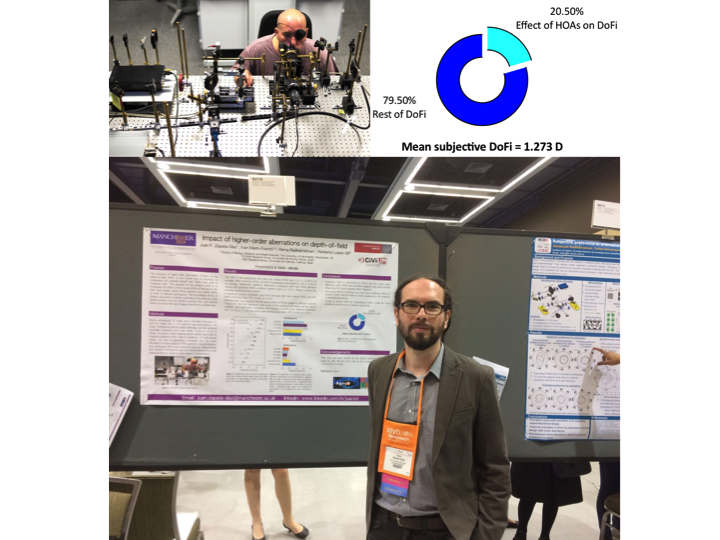 Bottom: ESR#5 presenting the study at ARVO annual meeting (Seattle, WA, USA).